To Fit: SAAB 9-3SS/SC 2006 onwards all 2.8T V6 models (B284). Core volume: 13770cm3 (7725cm3), do88 is 78% larger! 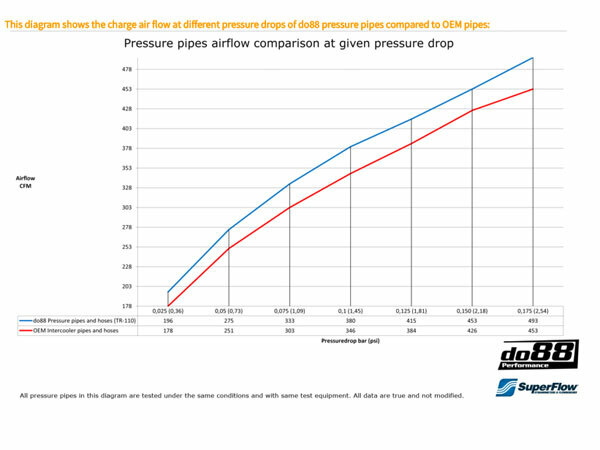 Air flow at 0,15bar/2,18psi pressure drop: 315CFM (273CFM), do88 15% higher! 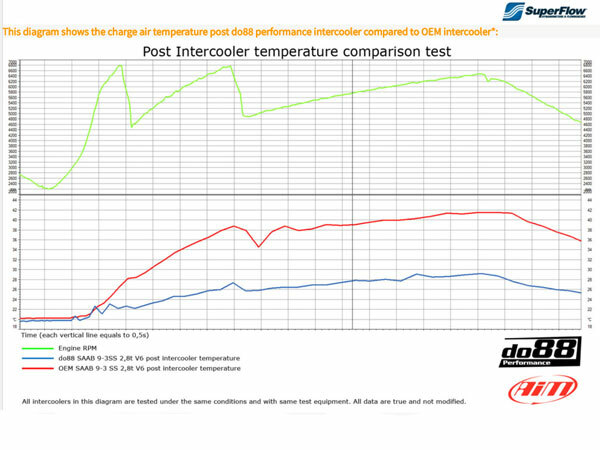 Post intercooler air temperature at same conditions: 36°C (57°C), do88 21°C lower! See enlarged images for test data! 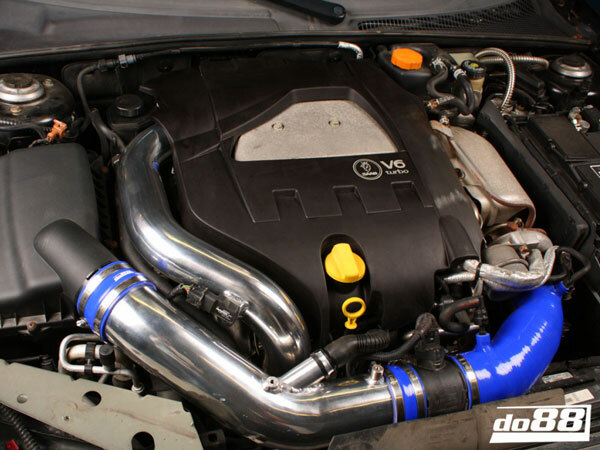 This big pack includes both the do88 performance intercooler and pipe kit. This upgrade kit offers a significant improvement over the original parts and is equally suited for someone wishing to replace parts on a standard engine or to achieve the highest possible horsepower from their tuned engine whilst retaining reliability. Just changing to do88's performance intercooler is a big improvement, together with the pressure pipe kit the improvement is huge! 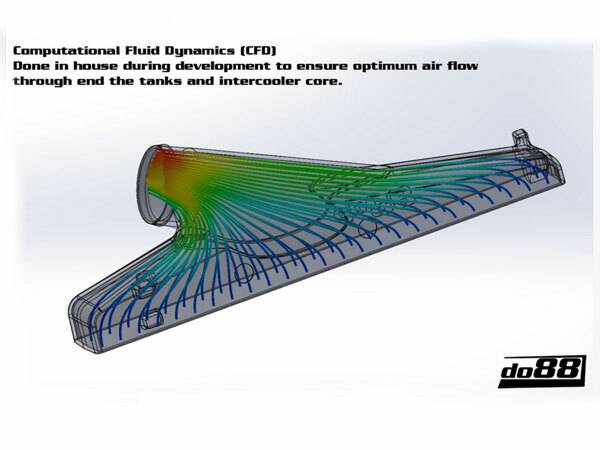 The pressure pipes have considerably better airflow than the original piping, this is verified by several tests, both in car and on do88.se's own SuperFlow SF-1020 flow bench. 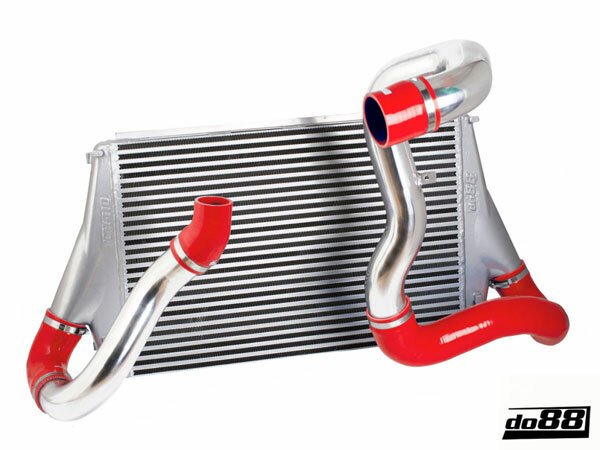 The big pack includes a full aluminum performance intercooler and a complete 2,5” / 2,75" pipe kit with silicone hoses. The big pack replaces everything between the turbo outlet and the throttle body, hence the drastical improvement in airflow and cooling performance. 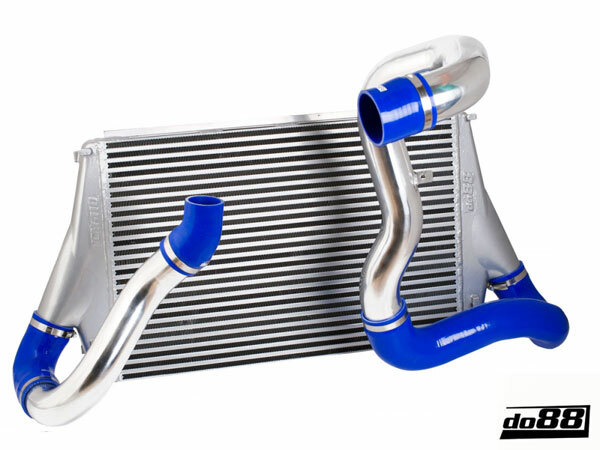 The do88 performance intercooler is an all-aluminum construction. With CAD-designed, flow optimized cast end tanks along with an optimized core design, it achieves the best possible cooling efficiency combined with lowest possible pressure drop! 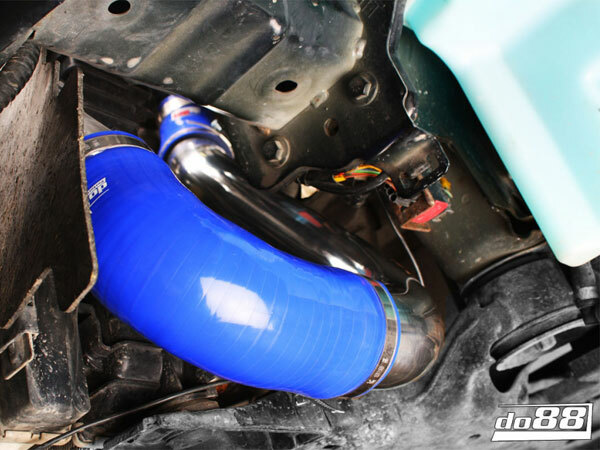 The pressure pipes are manufactured in 2,5” (Turbo-Intercooler) and 2,75" (Intercooler-Throttle body) mandrel bent seamless aluminum pipes. This kit is supplied with all the necessary hardware for installation.